This was an old school that had been converted into loft style apartments. 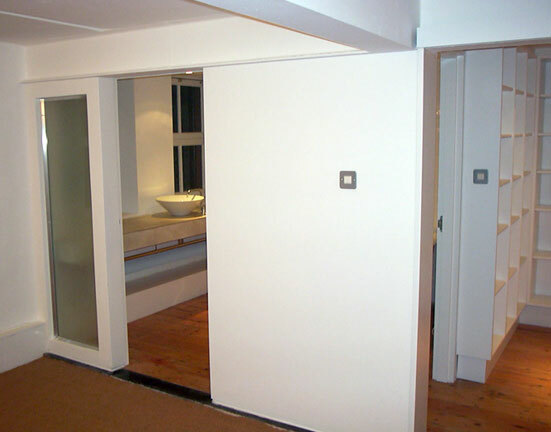 The job involved creating a bathroom, bedroom, lobby and library area out of what was originally one room. Partition walls were put up to separate the rooms. The bathroom sink table was finished with specialist plaster to give it a stone look.